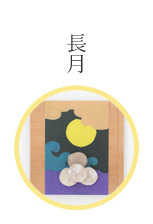 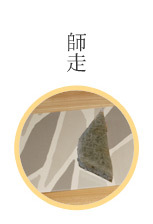 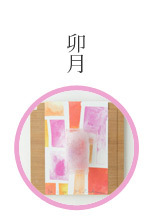 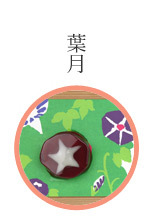 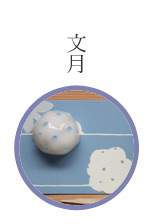 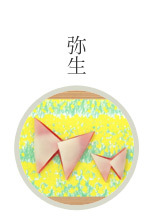 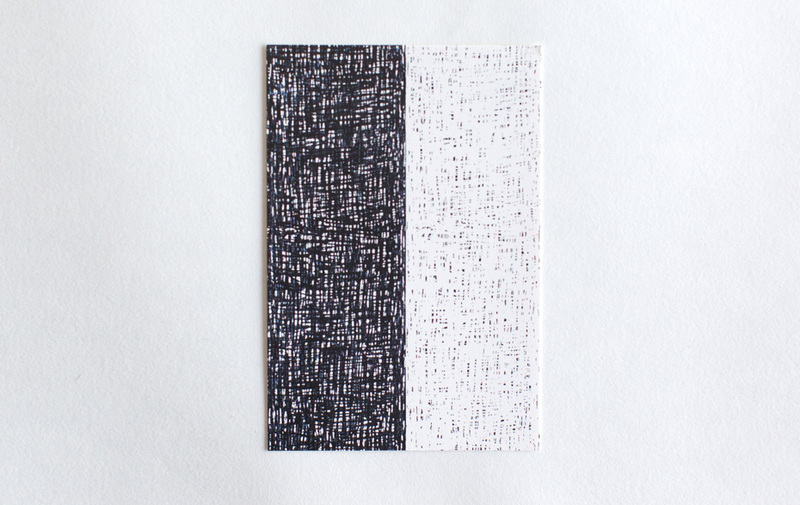 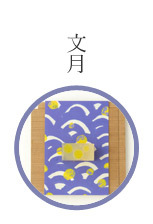 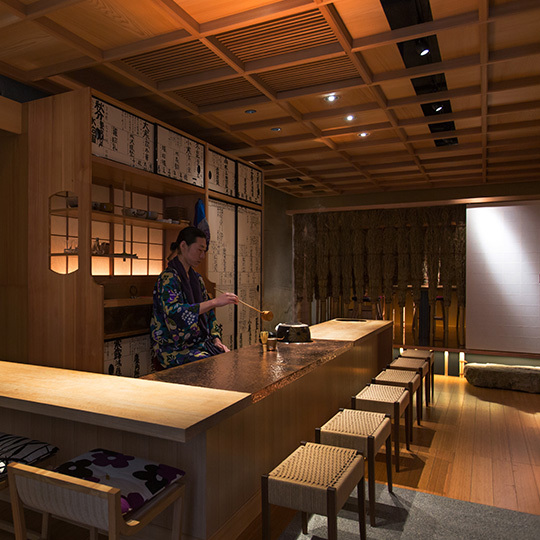 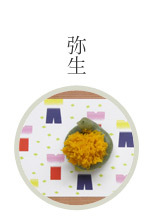 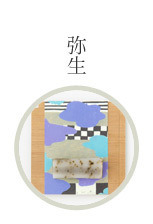 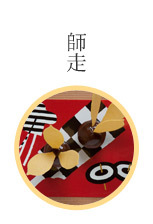 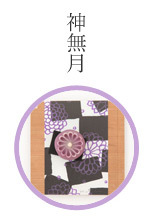 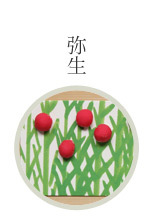 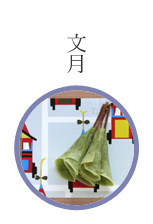 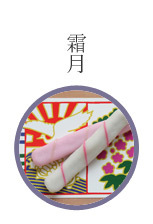 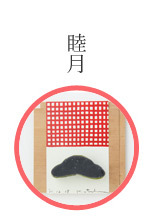 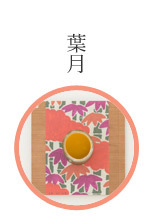 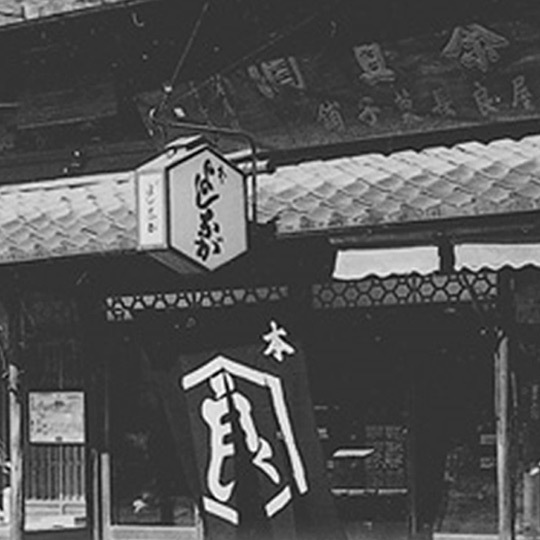 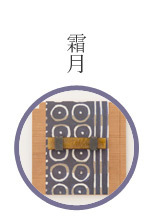 "Textile name : Shunbun (Heisei 25)"
Shunbun, the vernal equinox day, is the day like that. 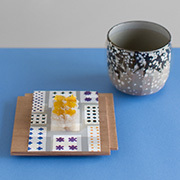 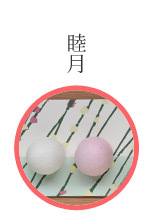 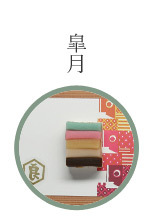 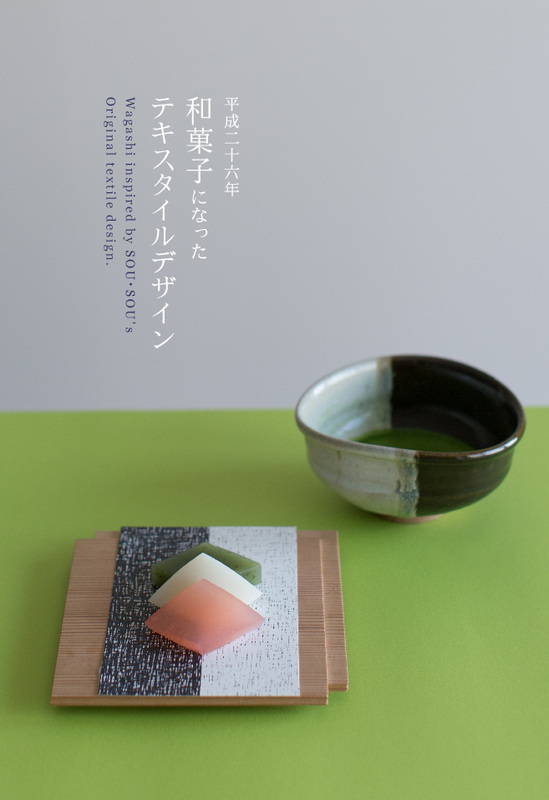 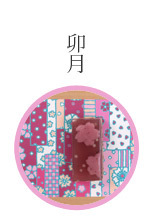 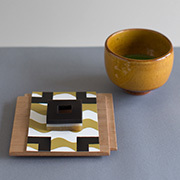 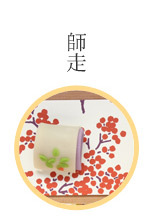 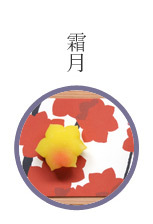 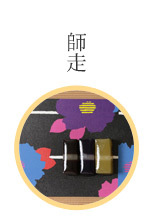 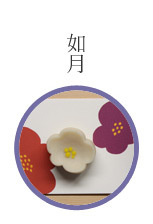 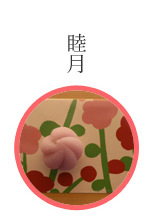 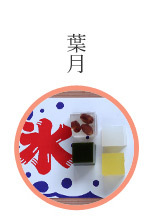 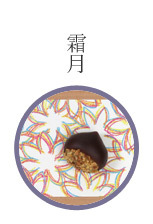 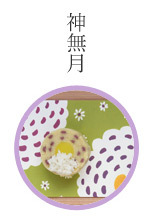 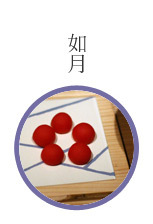 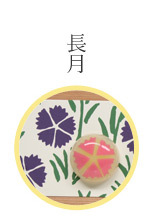 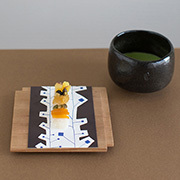 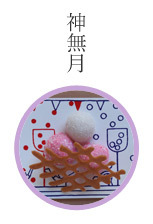 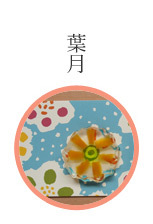 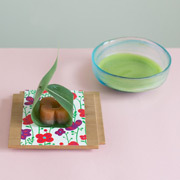 March's wagashi is inspired by Hishimochi, used for decoration at the Girl's Festival.We prepared three types of wagashi with different colors and flavor. 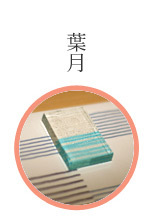 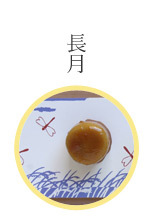 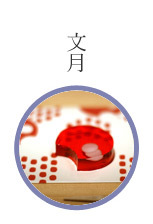 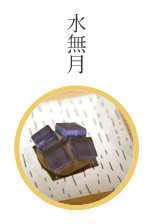 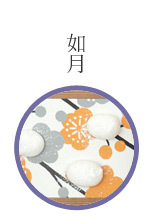 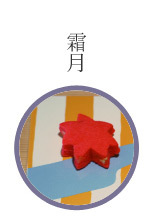 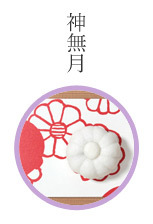 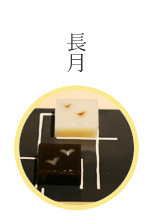 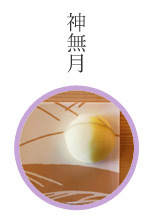 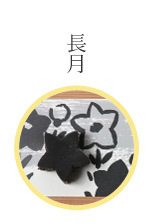 They are mainly made of Kingyoku, which containing Kanten (agar) heated with sugar and starch syrup. 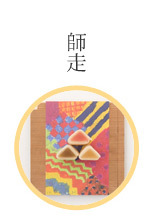 Pink one has fruity flavor with flesh peach and the puree, white one has milk, condensed milk, and apricot-flavored liqueur to make it rich apricot taste. 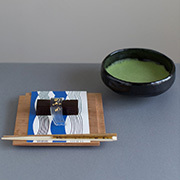 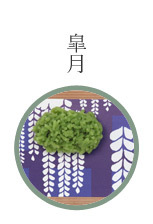 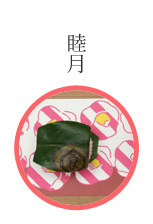 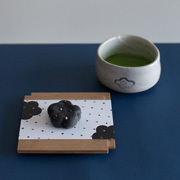 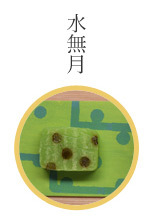 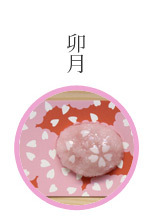 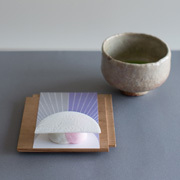 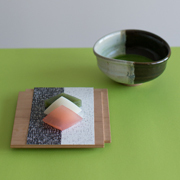 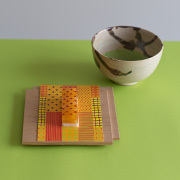 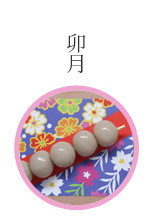 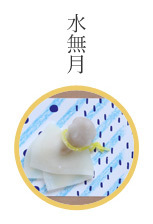 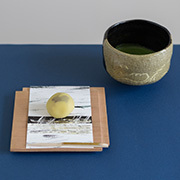 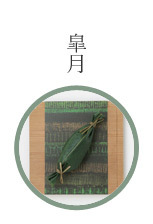 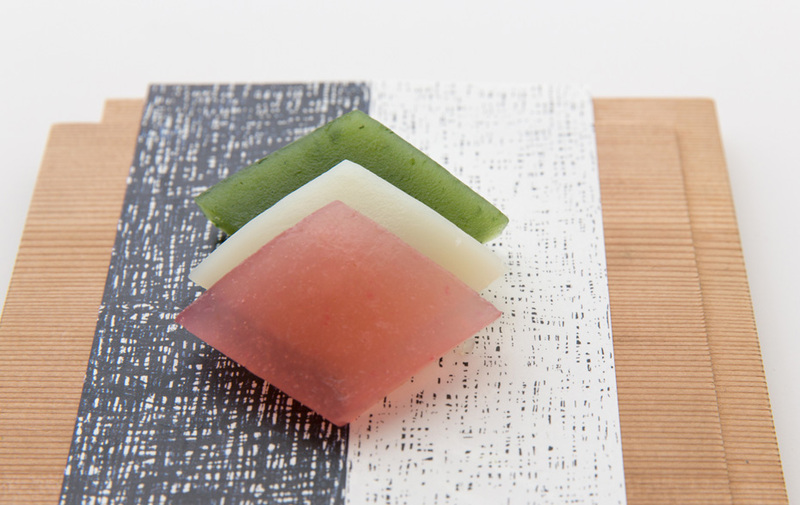 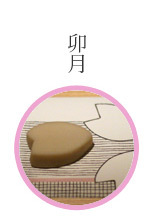 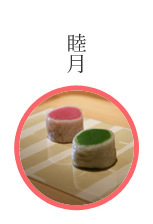 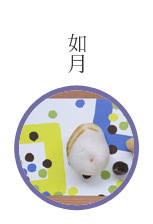 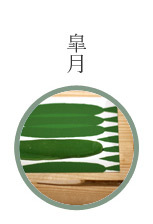 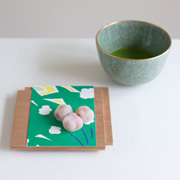 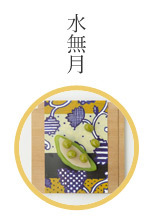 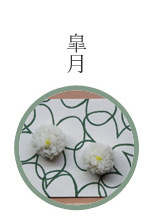 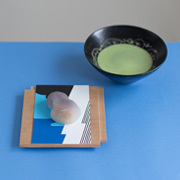 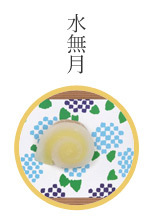 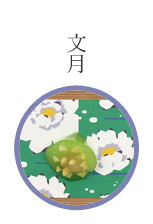 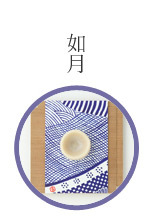 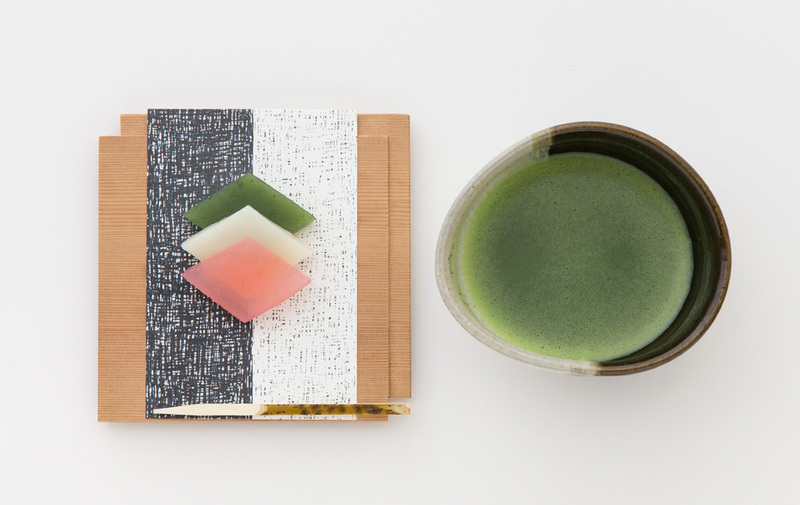 A white sweetened bean paste and Yomogi, a kind of fragrant herbs, are added to the green one to make it like a sweet bean jelly.Normally Hishimochi is piled up in layers. 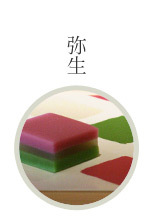 However, we serve them slanted down to enjoy tasting three different colors and flavor separately.